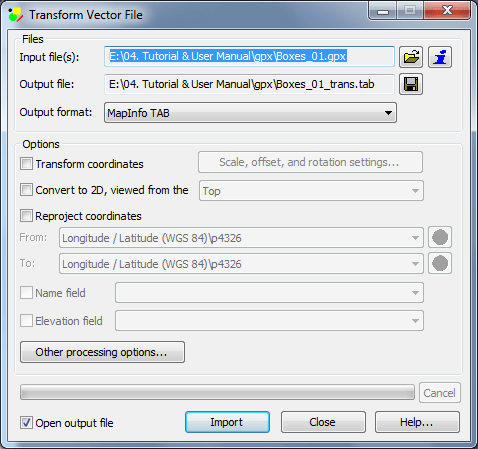 The new version of MapInfo/Discover 2015 comes with a better support for export and import vector files. 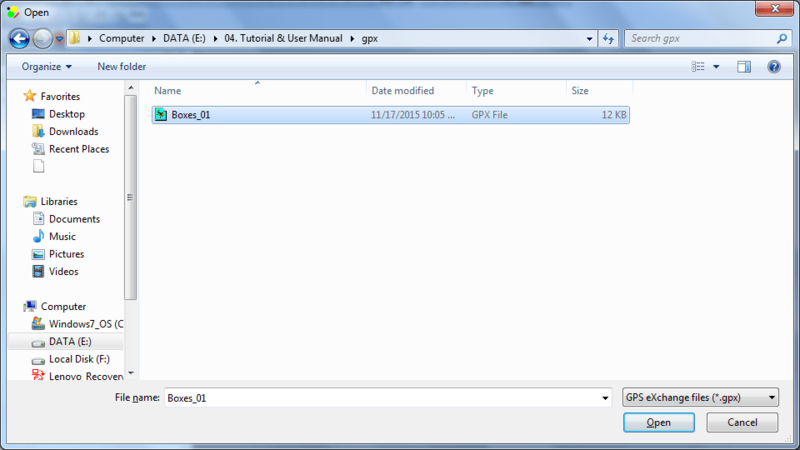 We can easily export MapInfo TAB file to GPX (GPS Exchange format) vice versa with Discover. GPX format can be read by most GPS device such as Garmin, Magellan and some others. 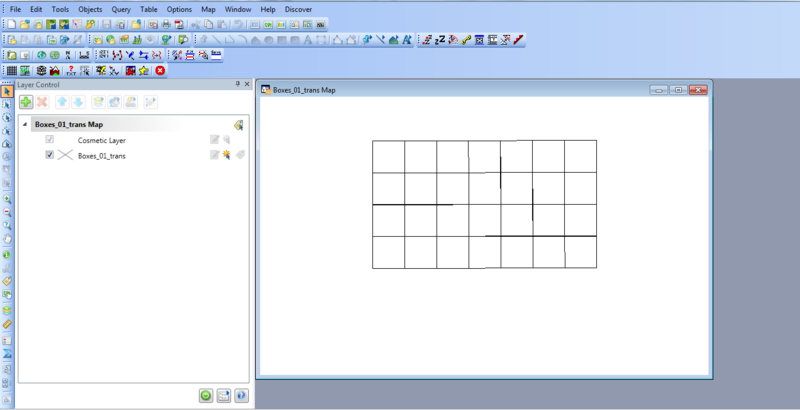 I will show you how to import GPX format to Mapinfo table (.TAB) using Mapinfo Discover. Open Mapinfo and go to Discover | Export and Import | Vector Import. Select GPS eXchange (*.gpx) from the list. The new window will come up. Select the GPX file you want to import. On the next window, specify the file name and directory for the Mapinfo file. 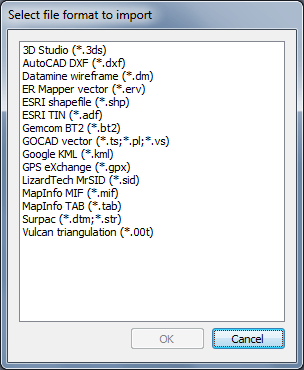 Make sure you select Mapinfo TAB file from the Output format. You can also transform the coordinates, or even reproject the coordinates. Press Import to start importing. Thank you for reading this post. Please share if you think this post is useful.